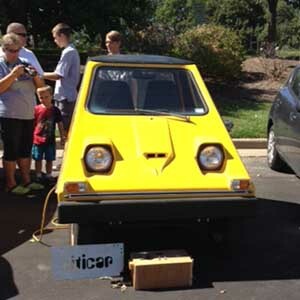 Event held at the Saint Louis Science Center, with in the event we had a Citi Car Show competition with give aways as well as awards. We had KSDK (local news) Come by and took pictures. 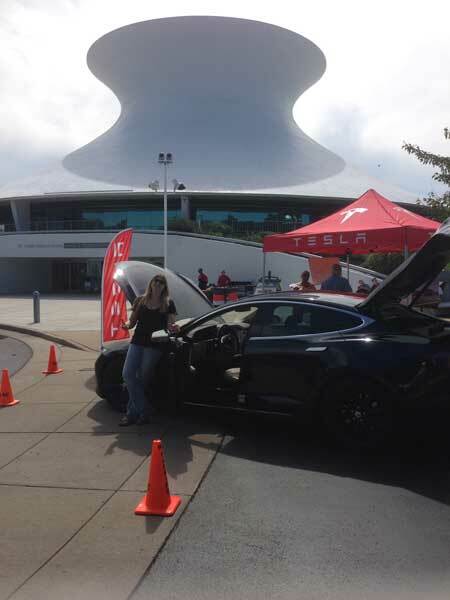 Come join us at the James S. McDonnell Planetarium for our 3rd annual Electric Vehicle car show! This show will be a free family friendly event all about electric vehicles! We will have everything from homemade conversion cars, to plug-in hybrid cars, as well as high end Tesla Cars. This is a great opportunity to learn more about electric cars and how they can help save you money. Think EV’s (electric vehicles) are to slow? 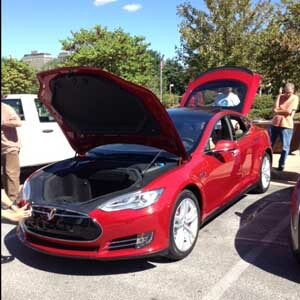 Come take a free ride in a Tesla and feel the torque that batteries can produce. Want to drive an EV? Local area dealerships will be on hand offering free test drives of some of the most common EVs. This is a great opportunity to hear what the dealerships can offer you and then get some firsthand testimonials from EV owners. While at the car show you can always use this chance to catch up on the latest Omnimax movies to get away from the sun. We are also looking for volunteers. Volunteers will be expected to do 1 to 2 hour shifts, of manning the gates, letting visitors in or out and keeping people safe and will receive a free T-Shirt. Interested in sponsoring the event or setting up a booth, please click the “contact organizers” button for more information. There are currently 165 attendees registered. Registered attendees report 815,796 electric miles driven.